1. 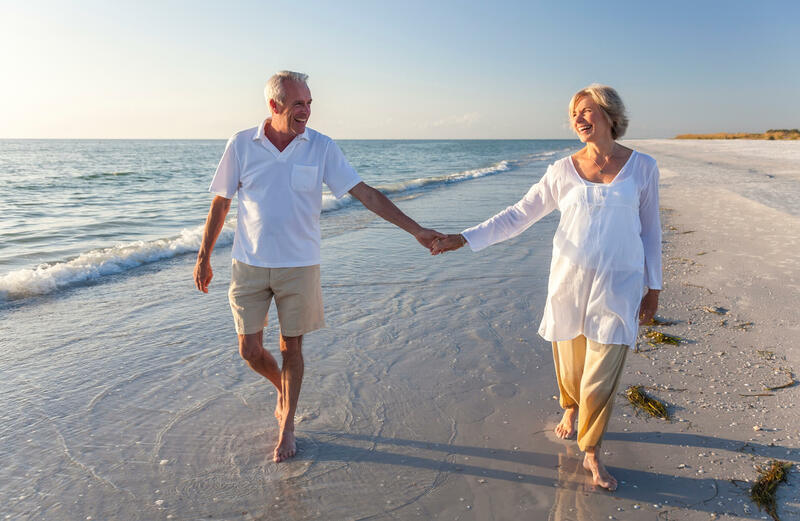 What are the benefits of independent senior living in Pompano Beach? Taking the grandkids on an outing to Butterfly World, the world’s largest butterfly park. Spending the day shopping, eating, or enjoying an event at Festival Marketplace. Fishing, swimming, sunbathing, or boating on Pompano Beach. Swimming laps at the Pompano Beach Aquatics Center. Swimming is a great low-impact exercise for seniors of all ability levels. Taking in a show at the Pompano Beach Amphitheatre. Pompano Beach’s Tri-Rail system offers easy access to many local attractions. It’s also a fun attraction for train enthusiasts of all ages. 2. Is independent living better than staying at home? You know and love your home. The familiar feels comfortable, but it’s not always the best choice. Staying at home can slowly erode your independence, especially if you have limited mobility or can’t drive. Some seniors also struggle with the challenges of home maintenance—cleaning, landscaping, and affording needed home repairs, to name a few. Many seniors find they feel healthier and happier in independent living. They have fewer worries, fewer obligations, and more opportunities to enjoy life. Help is there if they need it, but there’s no one hovering over them. 3. Will I lose my independence? No. Independent living is actually a great way to preserve your independence. In fact, most seniors find that they feel more independent in a senior living community than they did at home. That’s because living at home can become an increasing risk to your health and challenge to your independence, especially if you require help from loved ones. The goal of senior living is to maximize your independence while fostering opportunities for growth, learning, and friendship. Because you’ll be happier and more active, you may actually remain healthier longer. 4. Will I feel isolated in senior living? Bad memories of parents and grandparents in nursing homes have left many seniors concerned about feeling “shut away” in senior living. But independent living is all about fostering meaningful connections--not removing you from the community. You’ll have access to numerous activities, to new friends, and to plenty of opportunities to explore the surrounding community. While many seniors feel isolated at home, most actually feel happier living in senior communities. 5. Can I afford independent living? Most seniors, upon learning the benefits of senior living and touring a community, are eager to give it a try. Yet many worry about costs. Numerous programs and strategies—including long-term care insurance, and some military or employee benefit programs—can help you afford senior living. Selling your home can also be a significant source of funding. The right community may even save you money. If you’re no longer paying a mortgage, funding home maintenance, and trying to keep up with the Joneses, you’ll have a lot more money. The all-inclusive cost of senior living means unexpected expenses will no longer be a part of your life. For help calculating costs, check our our cost calculation tool. 6. Why do seniors choose independent living? For many seniors, independent living is the perfect balance. It preserves their independence while offering the peace of mind that comes from knowing help is there if they need it. It relieves the stress their loved ones face, allowing them to again enjoy a close and mutually fulfilling relationship. It offers friendship and social outings, while still providing privacy and a quiet space. If you think independent living might be right for you or for someone you love in Pompano Beach, we can help. Chat with us today about the benefits of independent living in Pompano Beach.